The Barlow boys basketball team took much of the state by surprise last season with its run to the 6A semifinals. This season, the Bruins have a target on their back with much of that same lineup returning. Barlow topped the 6A coaches poll in week 3 of the season after pulling off a 99-95 win over Jefferson. "We haven't been in that position for awhile, but I think our kids relish that role — it's a motivator for us," Bruins coach Tom Johnson said. 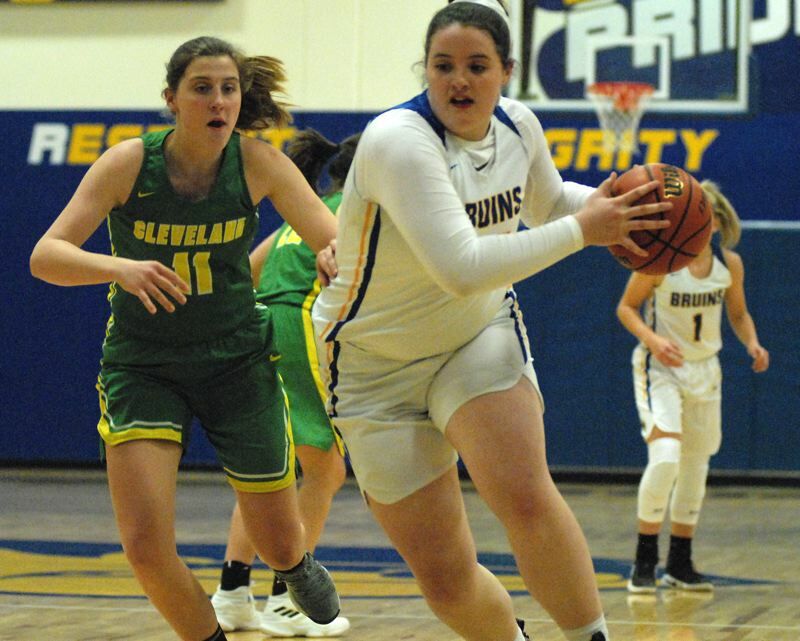 Barlow has played a loaded preseason schedule with three opponents that reached the state tournament last year, along with a return to this weekend's Les Schwab Invitational — an elite tournament that features Oregon's entire top-10 along with three national powerhouse squads from out of state. "We wanted to play a difficult schedule, I've always felt there's a benefit to scheduling good teams in the preseason," Barlow coach Tom Johnson said. "We were pretty young at that tournament (Les Schwab) a year ago, but it helped us make a long run in the playoffs. It showed us how far we had to go to compete with the best schools in the state." The Bruins are led by the senior duo of Jesse White and Evan Inglesby in the backcourt. Both players are capable of going on a streak from 3-point range, while also being able to find their way to the rim. "Jesse spends more time in the gym that any kid I've ever coached, after our win over Jefferson, he was back in the gym shooting at 9 a.m. the next morning," Johnson said. "Evan is such an overall good player. He rebounds, he passes, he scores. He is able to play any position for us." White is best known for bringing the Superfans to their feet with his long-range assaults that sometimes are launched from near the center-court logo. "He practices those deep shots. I'm more lenient with those if he hits a couple in a row," Johnson said with a laugh. The Bruins get an interior presence from the 6-foot-3 Dominic Jacoby, who plays tight end with the football team. "He's able to defend a variety of players, and he gives us a level of toughness that you can't coach," Johnson said. "He plays with such confidence and that rubs off on the rest of the team." Jacoby was injured in the team's home win over Beaverton and spent the opening game of the Les Schwab tournament in street clothes. Johnson expects him to return to the lineup in time for league play next week. 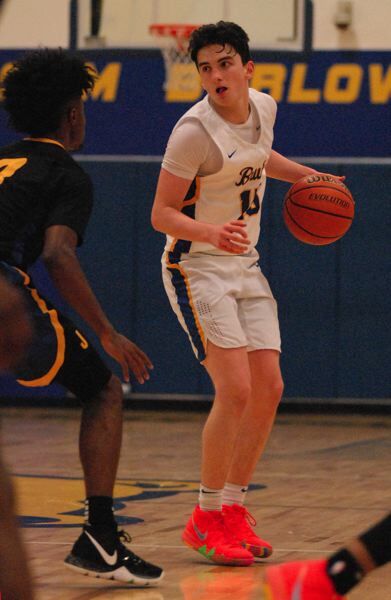 The Bruins also bring some size in juniors Joey Wolcott and Jaren Hunter, who is often the first player to receive a pass on set plays and at times will bring the ball upcourt. The quarterback of the football team, he is accustomed to finding moving parts with the ball. "He is able to get the ball from point A to point B," Johnson said. Seniors Jared Vedus and Noah Lowery provide a couple other scoring options, while also bringing big-game experience from last year's playoff run. The Barlow girls program is under the direction of first-year head coach Nick Hudson — a 2000 Barlow graduate, who is now teaching at West Orient Middle School. He spent eight seasons as an assistant for Tom Johnson on the Barlow boys bench. "As far as a mentor you couldn't ask for anybody better," Hudson said. The Bruins are led inside by 6-foot-3 junior center Libby Mathis. "Libby is tall and exceptionally strong," Hudson said. "She moves well and is a good finisher around the rim — she is just tough to guard in the post." Also a factor in the paint is senior Hannah Rispler, who stepped away from basketball for a couple seasons. "She's able to do a little big of everything and she does it well," Hudson said. "She's a great floor leader, and we are very glad to have her back." The team's biggest perimeter scoring threat is junior Emory Miller. "She's our most consistent player at creating her own shot," Hudson said. "She's pretty good in that mid-range area, but she is also able to post up, which makes her a tough match up." Senior Jocelyn Richardson has led the team in 3-point makes during the preseason. Barlow holds the best preseason mark among Mount Hood Conference schools with a 6-2 start to the season. The Bruins most impressive wins have come against McKay and The Dalles — both schools at the top of their leagues heading into the New Year. "Being my first year, we are still learning each other, but the girls are doing what we are asking and that has allowed us to be competitive," Hudson said.